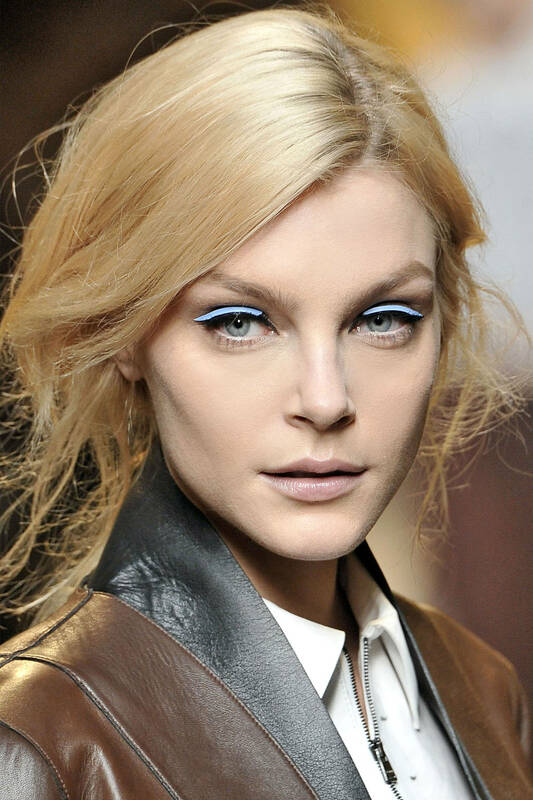 Black liquid eyeliner went from clean and slight flicked at Oscar de la Renta to extremely winged-out at Saint Laurent. 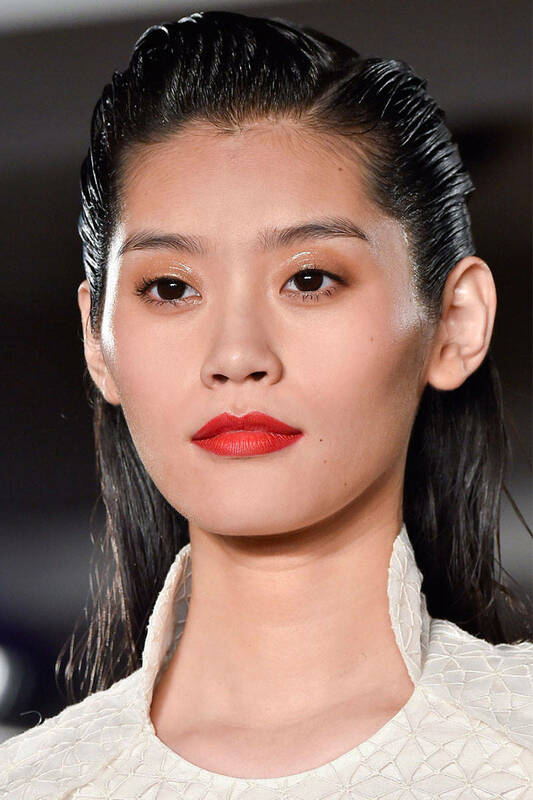 At Dolce&Gabbana, deep berry lipstick was diffused around the edges which gave a stained effect while Missoni showed bright, flirty orange-reds. 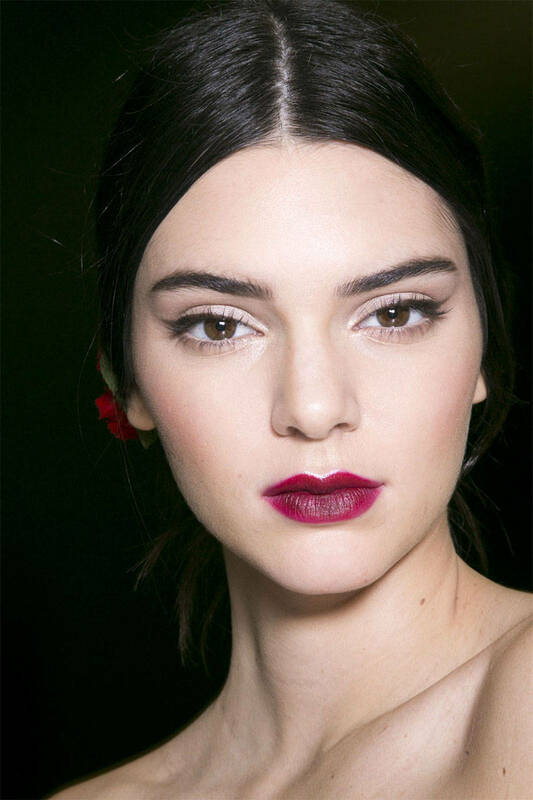 Brown-eyed girl trend is as popular. It turned up on the runway in shades of cool taupe at Donna Karen, chocolate-y bronze at Giorgio Armani and warm sand at J. Mendal. 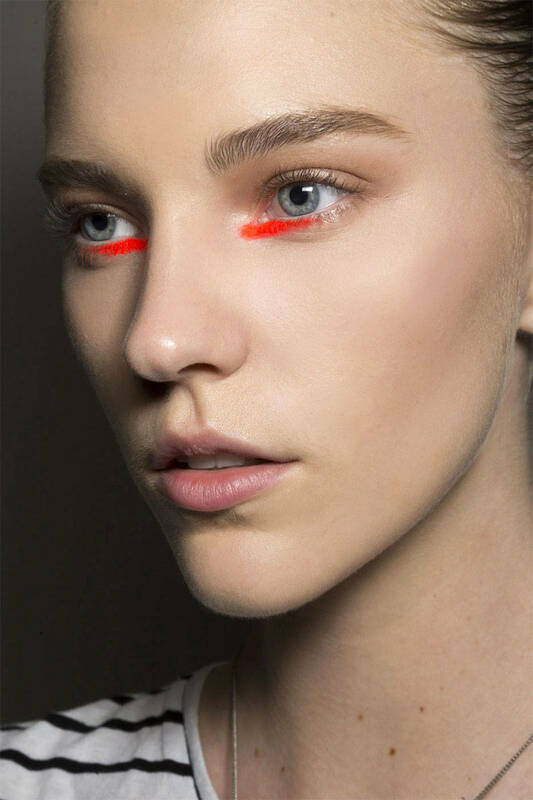 At the likes of Dior and Peter Som artists used stripes of leather, satin stickers and swipes of lipsticks instead of eyeliner.